The US legislative act on providing Taiwan with defensive arms is considered a major obstacle for improving Sino-American relations within other areas, a Chinese general visiting the US stated last week. During a recent week-long visit to the United States, Chen Bingde, the chief of the general staff of China's People's Liberation Army, or PLA, pressed the United States to end arms to Taiwan. And he said some U.S. lawmakers agree with him that it is time to rethink legislation that obligates Washington to provide Taipei with defensive weapons. General Chen Bingde had some pointed remarks about U.S. arms sales to Taiwan. Speaking on Wednesday [May 18, 2011] at the National Defense University here in Washington, he called such sales the main source of friction in U.S.-China relations. "If America could put herself into our shoes, appreciate and support China's stance on Taiwan and prudently address the major sensitive issues between our two nations, the Sino-U.S. state-to-state and military-to-military relations will be able to advance in the right direction in a sound, stable and continuous manner," he said. At a Pentagon press conference later that day, Chen spoke again, when asked how China might respond if the United States fulfilled Taiwan's request for advanced F-16 fighter jets. This time, the Chinese general targeted the Taiwan Relations Act - legislation that promotes U.S. arms sales to Taiwan. "Since I've arrived in the United States, I've had the opportunity to talk to some members of Congress and some of them told me that they also think that it is time for the United States to review this legislation," said Chen. This is Admiral Michael Mullen, chairman of the U.S. Joint Chiefs of Staff: "In the United States, as in China, we follow the law. We have a law, which is the Taiwan Relations Act, and we will continue to follow that until such time as that may change. That's the responsibility of Congress to initiate that. And while there may be discussions, that's not something I am aware is up in terms of a priority at this point in time," he said. Beijing's opposition to the Taiwan Relations Act is not new, but some analysts say the discussion over how Washington should handle its relationship with Taiwan to improve ties with Beijing is growing. Political scientist John Copper of Rhodes College in Tennessee says that until recently, China has generally has been unsuccessful in weakening the legislation. "We've got a very different situation now, with the United States in debt with China, the United States preoccupied with wars, with debt crisis, all kinds of other issues - and not wanting to alienate China," he said. Copper says the legislation gets little notice in Congress and that some scholars and former U.S. officials are arguing in favor of limiting relations with Taiwan to boost ties with China. "There is a lot of talk around to the effect that we should change our policy toward Taiwan -- not mentioning the Taiwan Relations Act specifically, but that's what it means," he said. In late 2009, Bill Owens, a retired U.S. admiral and former vice chairman of the Joint Chiefs of Staff wrote in The Financial Times newspaper that U.S. arms sales to Taiwan are no longer necessary, given improving relations between Beijing and Taipei. 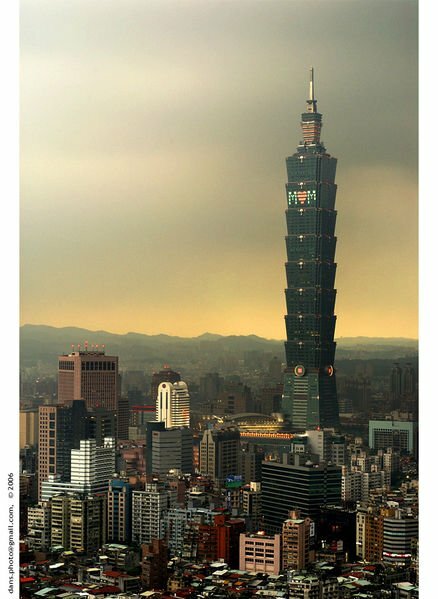 Other articles arguing for a change in U.S. policy toward Taiwan have appeared in the influential foreign policy journal, Foreign Affairs. China, which considers self-ruled Taiwan as a part of its territory, argues that the Taiwan Relations Act interferes in its internal affairs. But Taiwan officials say arms sales help improve the balance of power in their negotiations with China. Analyst John Copper says ending arms sales to Taiwan would be hotly debated in Congress and would raise questions abroad about America's commitment to democracy. "If Taiwan were simply let go by the United States, then what would we say about a mandate to push democratization elsewhere. That would be undermined to a large extent. And we are promoting that now, especially in the Middle East," he said. Analyst Jonathan Pollack at the Washington-based Brookings Institution says that it seems unlikely that any push to modify the Taiwan Relations Act would gain momentum in Congress. "Clearly, the Chinese are looking for signs of restraint in what we do. But restraint is going to be dictated by, as much as anything else, Chinese actions and policies - more than what the Congress does or does not decide to do," he said. In addition to criticizing the Taiwan Relations Act, General Chen said that China's response to U.S. arms sales to Taiwan would depend on the nature of the weapons sold to the island. Jonathan Pollack says that remark is significant. "It was not a kind of a categorical, any arms sales are absolutely illegitimate and unacceptable or something of that sort, which in theory he could have said, but chose not to. So I don't know whether it indicates some flexibility, it may indicate some realism on the part of Chinese officials that some things will go through," he said. Whether the two sides reached some kind of understanding, Pollack says, is unclear. What is clear is that China's flexibility might be put to the test soon, if the United States approves Taiwan's request for F-16 fighter jets. That request is under review.